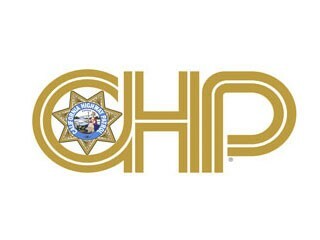 A 38-year-old Redway man was killed just before 6 p.m. yesterday when his motorcycle drifted off Briceland Road and hit a tree, according to the California Highway Patrol. He died at the scene. Brian J. Hemphill was wearing a helmet, officials said in a news release, and the crash remains under investigation. The CHP states that it is currently unknown whether alcohol or drugs were a factor. This is the county's 18th roadway fatality of 2018. On July 23, 2018, at approximately 1750 hours, a 2012 Kawasaki motorcycle, driven by 38year old, Brian J. Hemphill, was traveling eastbound on Briceland Road, east of Ettersburg Junction. For reasons still under investigation, Hemphill failed to maintain control of the Kawasaki and drifted off the east roadway edge of Briceland Road, where it collided with a tree. Hemphill was found to be wearing a helmet, however, was pronounced deceased at the scene by City Ambulance of Eureka personnel. This collision remains under investigation by the California Highway Patrol, Garberville Area office. It is not known at this time if drugs or alcohol impairment is a factor in this collision. The following agencies responded to the scene and assisted with this incident; Telegraph Creek Fire, Cal-Fire, Briceland Fire, City Ambulance of Eureka and the California Highway Patrol.